Should You Borrow For Your Down Payment? Saving for a down payment feels like it can take a lifetime. House prices have climbed to over $450,000 on average, meaning a buyer making a standard 20% down payment will need to save $90,000 to enter the market. Even the minimum down payment of 5% works out to a daunting $22,500, not including mortgage default insurance – a cost of over $15,000 for a $450,000 home. Once you factor in closing costs, like land transfer taxes, it’s no wonder half of 18-34-year-olds who don’t own a home say it’s because they need more time to save. The rules about where your down payment can come from are fairly straightforward. As a minimum, lenders require you pay 5% of the purchase price from your own resources. Borrowing from sources like a secured line of credit (such as a Home Equity Line of Credit or HELOC) or RRSP also satisfies this requirement. Using other resources, like an unsecured line of credit, is only permitted by some lenders after the 5% minimum has been met (i.e. once you’ve sourced 5% of the purchase price from savings, you may be allowed to borrow from other sources to increase your down payment). That said, carrying debt won’t necessarily keep you from being approved for a mortgage. And the source of your savings won’t be considered as long as you can show that saved money has been in your account for three months when you submit your mortgage application. The good news is most Canadians use their personal savings (including money saved in RRSPs and TFSAs) as their primary source of down payment funds. But with mortgage rates at record-lows, it’s difficult to grow savings without taking on risk. So is it a good idea to borrow for your down payment? Let’s look at the pros and cons. This is the most tempting reason to borrow for your down payment. With house prices hitting all-time highs, borrowing can help get you into a desirable neighbourhood before prices climb above what you can afford. While it’s not necessarily a bad financial decision to rent your home, your monthly rent cheque is guaranteed to be gone forever. By owning your own home, every dollar you pay in principal is a dollar you get to keep in the form of equity – assuming the value of your house doesn’t fall. If the Canadian real estate market continues the way it’s going (and there’s no guarantee it will), the value of a home can grow much faster than money in a savings account. In Vancouver where prices are up 11.2% since this time last year, that could mean a significant return on your investment. When you purchase a house with less than 20% down, you’re required to pay mortgage default insurance (CMHC insurance). The premium you pay depends on the size of your down payment – rates drop as you pass the 10%, 15% and 20% marks. Bryan Freeman, Vice President of CanWise Financial, a brokerage owned by RateHub.ca, suggests in some situations borrowing from a secured source like a HELOC to increase your down payment could save you thousands on CMHC insurance, and lower your monthly payments. In this scenario, by borrowing $5,000 to bring the down payment up to a full 20%, you’ll not only save $7,290 on CMHC insurance, you’ll also save $55 on your monthly mortgage payment and $1,400 in interest over a 5-year fixed term at 2.49%. If you’re borrowing from a financial institution, your down payment loan will likely be subject to a much higher interest rate than your mortgage. If you decide on a cash back mortgage to cover your down payment, your mortgage rate could be significantly higher than a conventional 5-year fixed mortgage – and you’ll end up paying the higher rate on the entire balance of your mortgage. Additional monthly debt repayments lower your cushion against surprises like unexpected repairs or a sudden job loss. Since you typically need at least 20% equity in your home to be approved for a home equity line of credit, you may find yourself out of options if you can’t cover your costs with savings. When you apply for a mortgage, lenders consider (among other factors) your debt service ratio. Taking a loan to cover your down payment will impact your debt service ratio, meaning the cost of monthly payments could impact how much you can borrow for your mortgage. While research shows as many as 28% of first-time buyers use gifts or loans from family as a source of down payment, taking money from family can lead to other problems. Contention over expenses like furniture or decorations can strain relationships and reduce your ability to enjoy your new home. While there are advantages and disadvantages to borrowing for a down payment, the answer comes down to your budget and comfort level. If you’re confident you can afford additional monthly payments while staying prepared for unexpected expenses, then borrowing money for a down payment may be a suitable option for you. If you’re not comfortable making extra payments to the bank (or the bank of mom and dad), then maybe saving up the old fashioned way is a better option. Yesterday the Bank of Canada (BoC) announced it was cutting the overnight lending rate from 0.75% to 0.50%. The cut followed a surprise 0.25% reduction in January, which BoC Governor Stephen Poloz later likened to “life saving surgery” as oil prices fell and the Canadian economy suffered as a result. Yesterday’s move had been widely anticipated, but as only the second rate cut since 2010, it naturally sparked a significant reaction. In the hours following the announcement, traffic to RateHub.ca surged 300% as consumers went online to search out better mortgage deals. What they found was an almost immediate drop in 5-year variable mortgage rates. Mortgage broker Butler Mortgage cut their variable mortgage offer to 1.88%, from 1.99% where it had been previously. That cut equals $1,320 of savings over a 5-year term based on a $450,000 mortgage with a 10% down payment. At the major banks, TD Bank was the first to cut their prime rate following the announcement lowering to 2.75% from 2.85% – a cut of 0.10%. While the decrease amounted to more of a nick than a slash, it had been expected that banks wouldn’t follow the BoC with a full 0.25% cut. The banks had a similar reaction to January’s rate cut, only lowering their prime rates by about 0.15% following that announcement. In the media, reaction ranged from blasé about the ability of the rate cut to prevent (or reverse) a recession, to apprehensive about the potential effect on the real estate markets in Toronto and Vancouver – which many fear are already dangerously overvalued. With an election just months away, focus was also on Prime Minister Stephen Harper, whose comments on the subject were met on twitter with a prolonged game of #HarperBlamesTrudeau. The actual effect of yesterday’s rate cut won’t be known for some time. For many Canadians, the most noticeable short-term benefit will come in the form of minor relief on variable rate loans. For the housing market, it’s not clear whether mortgage rates will fall far enough to induce further chaos in Toronto and Vancouver. And for the economy at large, we’ll have a clearer picture over the coming months – likely just in time for the Bank of Canada to make their next interest rate announcement on September 9th. 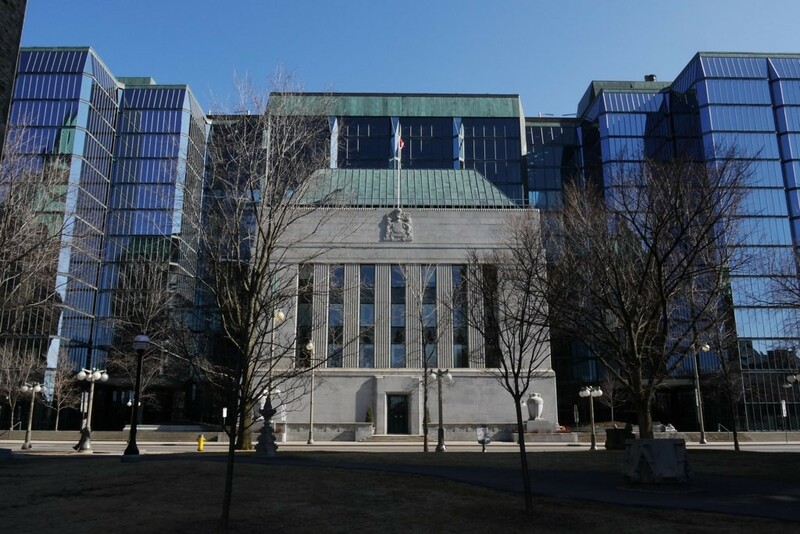 Update July 16th @ 10:30AM: Many banks have now all lowered their prime rates by 0.15% to 2.70% – a reduction of 0.30% since this time last year (the BoC overnight rate has dropped 0.50% in the same time frame). Mortgage brokers commonly offer rates lower than prime, and the Bank of Canada isn’t the only factor that influences mortgage rates. Compare mortgage rates using our comparison chart to find the best rates available right now.